Cartoon character co-opted by anti-Semites and White Nationalists killed off by creator following controversy. Pepe the Frog, an online cartoon character whose image has been co-opted by anti-Semites and White Nationalists associated with the alt-right, has been killed off by its creator. A Pepe cartoon released Saturday shows Matt Furie’s character in an open casket being mourned by other characters from his “Boys’Club” strip that debuted online in 2005. The first printed version was released in 2006. In September, the Anti-Defamation League added Pepe the Frog to its online hate database. 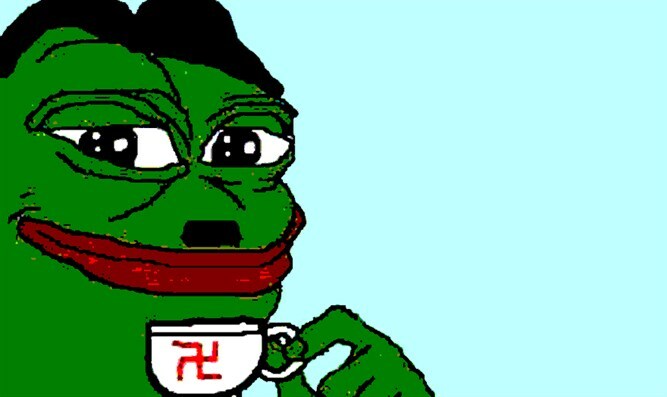 Images of the frog, variously portrayed with a Hitler-like mustache, wearing a yarmulke or a Ku Klux Klan hood, proliferated in hateful messages aimed at Jewish and other users on Twitter in the weeks leading up to its inclusion in the online hate database.